Prosecutors raided the Supreme Court on Thursday as part of a widening probe into allegations its previous chief abused his authority to attain his ambitious goal of setting up a court of appeals in the country. The Seoul Central District Prosecutors' Office sent its investigators to accounting and finance divisions at the top court to confiscate evidence related to suspected fund misappropriation by its public relations team. 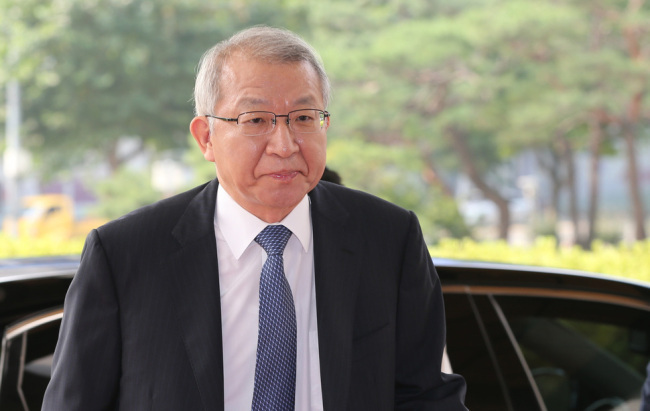 Prosecutors have been investigating alleged misdeeds of the National Court Administration under former Supreme Court Chief Justice Yang Sung-tae, including exerting influence on high-profile trials, to win presidential favor for the establishment of a court of appeals and suppress judges who are against it. Fresh suspicions arose that the top court under Yang raised 350 million won ($313,000) from district court budgets and doled out the money to district court chiefs and senior judges in the name of incentives, among other expenses. The unprecedented scandal involving the top court has stirred up a war of nerves between the judiciary and prosecution. Prosecutors have requested a spate of search warrants for key premises and residences of those implicated in the scandal, mostly judges, only to be turned down by the court.